October 24, 2016 (Burbank, CA) ─ The CW Network has ordered new seasons of the hit improvisational comedy series WHOSE LINE IS IT ANYWAY? as well as the hit magic series PENN & TELLER: FOOL US and MASTERS OF ILLUSION. The new seasons of these series will return as part of The CW’s 2017 Summer schedule, with dates and times to be announced later. 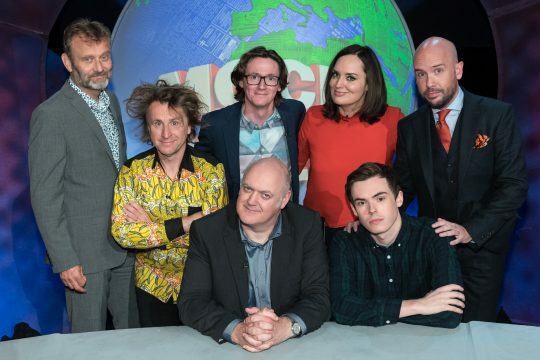 Based on the wildly successful U.K. format, which also spawned a previous incarnation in the US that ran for eight seasons on ABC, WHOSE LINE IS IT ANYWAY? is executive produced by Dan Patterson, Mark Leveson, Jimmy Mulville, Ryan Stiles, Wayne Brady and Colin Mochrie. 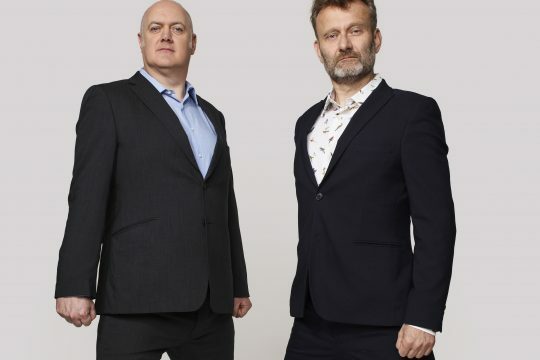 Created by Dan Patterson and Mark Leveson, WHOSE LINE IS IT ANYWAY? is from Angst Productions and Hat Trick Productions. PENN & TELLER: FOOL US is a one-hour competition series celebrating magic and featuring the legendary duo Penn & Teller. On each episode of PENN & TELLER: FOOL US, aspiring magicians are invited to perform their best trick to try and fool the world-famous team of Penn & Teller. Anyone who succeeds wins the right to perform with Penn & Teller in their celebrated show at the Rio Hotel & Casino in Las Vegas. The live studio audience and the TV audience watch along with Penn & Teller as they try to figure out the secrets. Penn & Teller see the trick only once and have to immediately try to work it out. The live studio audience knows there are no camera tricks, secret edits or helpful camera cuts. This is all real magic. Hosted by actress Alyson Hannigan (“Buffy the Vampire Slayer,” “How I Met Your Mother”), PENN & TELLER: FOOL US is created and produced by 117 PRODUCTIONS and September Films (part of DCD Media), with executive producers Penn Jillette, Teller, Peter Adam Golden and Andrew Golder. Hosted by actor Dean Cain (“Supergirl,” “Lois & Clark: The New Adventures of Superman”), MASTERS OF ILLUSION features amazing magic performed by cutting-edge illusionists and escape artists, and performers in each episode displaying skills ranging from perplexing interactive mind magic to hilarious comedy routines. Live audience members and viewers at home will be baffled by the astounding skills of these modern illusionists. MASTERS OF ILLUSION is from Associated Television International with executive producers David McKenzie (“The 38th Annual Daytime Emmy Awards,” “Marie”), Gay Blackstone (“The World Magic Awards” 2007-2009), David Martin (“The World Magic Awards” 2007-2009, “Marie”) and Al Schwartz (“The 38th Annual Daytime Emmy Awards,” “The Golden Globe Awards” 2013 and 2014, “The Gulf is Back”), along with co-executive producers Justin Pierce (“The Rocky Saga: Going The Distance”) and Jim Romanovich (“The 38th Annual Daytime Emmy Awards,” “Marie”).